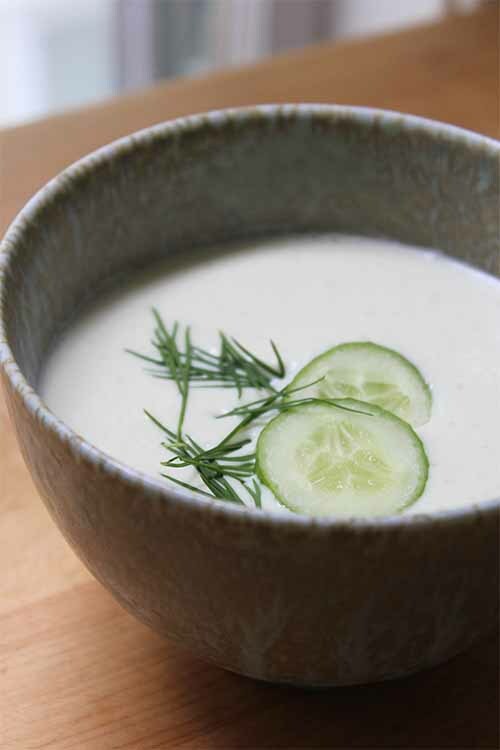 This refreshing cucumber soup will help you to keep your cool on a hot day. And it’s low in calories, too. As for chilled soups, if you haven’t tried one before (or if you just need a little more encouragement to get started with your first batch this season) they make a wonderful addition to any summertime menu. Perhaps truer words have never been spoken! Sure, you could add a few slices of cucumber to your water with a wedge of lemon, and a sprig or two of mint. You could place a few more slices over your tired eyes. 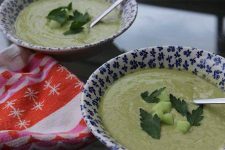 But we think the best way to take advantage of the cooling factor inherent to this fresh garden vegetable in the warm weather is to blend it up with yogurt and fresh herbs, to make a refreshing summertime soup. 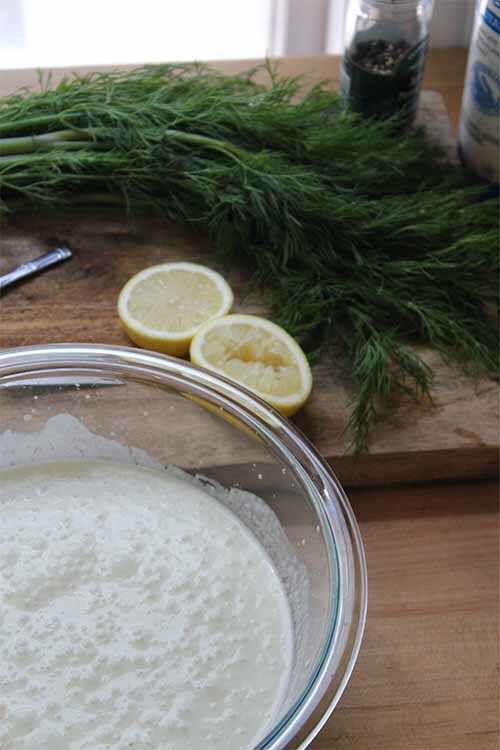 Lemon juice, a little bit of garlic, and a bunch of fresh dill is all you’ll need to add refreshing flavor to this tasty dish. 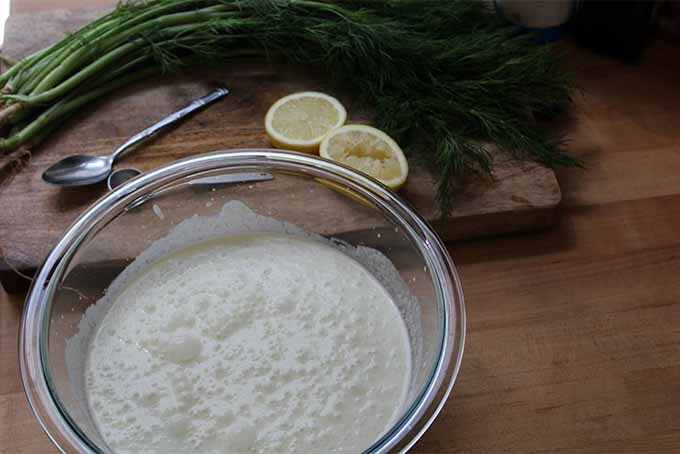 Like tzatziki dip in many ways, it has a lovely smooth texture that’s perfect for sipping. 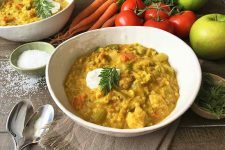 Because all of the ingredients in this soup are raw, you also retain more of the nutrients than you might in your standard cooked soup. Packed with vitamins A and C, and silica from the cucumber, potassium, protein, calcium, and B vitamins from the yogurt, healthy phytonutrients, selenium, and phosphorus from the garlic, iron and magnesium from the dill, and vitamin C from the lemon juice, as well as a bit of healthy fiber from all of that fresh produce, this dish is both delicious and nutrient dense! 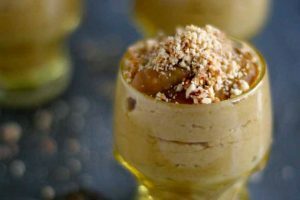 It’s also a low-calorie vegetarian option, the perfect light dish to serve when that sluggish feeling starts to set in after a long day spent outside in the sunshine. Of course, the operative word when it comes to chilled soups is “chilled.” Blending tends to generate at least a little bit of heat, even when done quickly, so you’ll want to do what you can to fully cool the dish off before serving it to your parched and sun-beaten guests. Here’s a tip from Louis DeGouy: “The main thing to remember is that cold soup must be really cold, just as hot soup must be really hot, to be good. No betwixt-and-between stuff here. Have the plates or bouillon cups chilled too. 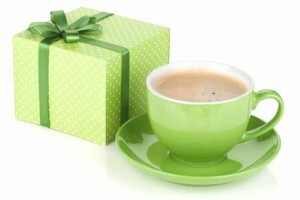 The beading of moisture that usually forms on the cups adds to the illusion of coolness. We love these serving suggestions, and we know you will too! 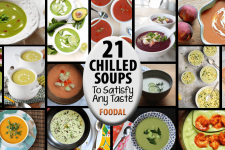 If you’ve been fully converted to the train of chilled soups this summer, check out our 20 other chilled soup recipes to try, enjoy, and cool down with (as well as match any taste!). Place a about a third of a cucumber aside for garnish. Peel and roughly chop the rest. Peel the garlic. 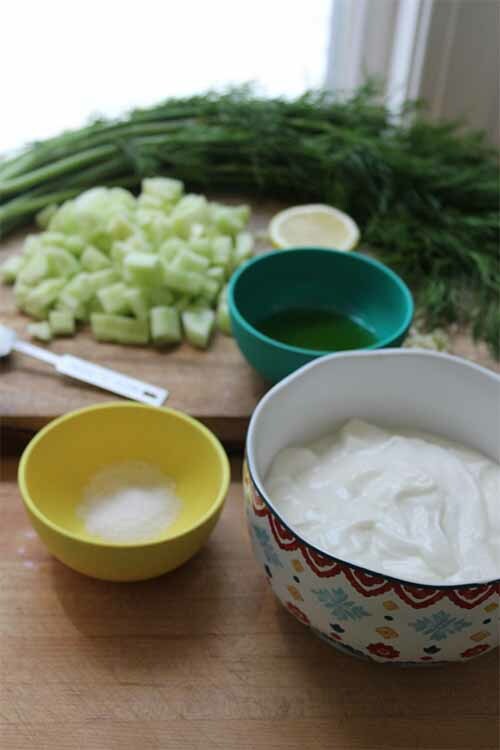 Blend the cucumber with garlic, oil, yogurt and a splash of water to keep it liquid enough to mix. Season with salt, pepper, sugar and lemon juice. Chill in the fridge. Wash and chop the dill. Cut the remaining cucumber into thin slices. Garnish with the herbs and cucumber slices and serve. Reserve about a third of one of the cucumbers for garnish. Peel and chop the rest. Since they will be blended, there is no need to concern yourself with a uniform chop. Want to make your life even easier? Check out our guide to the top vegetable peelers. Peel your garlic as well, and place this with the cucumber in a blender. 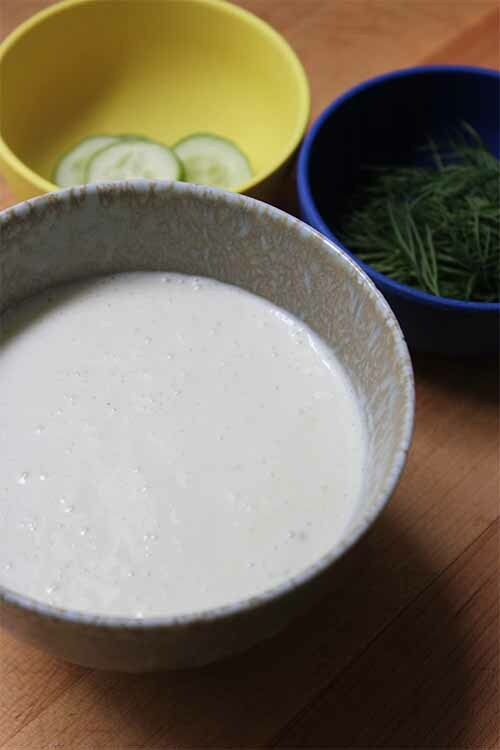 Blend the cucumber, garlic, oil, and yogurt with a splash of water. 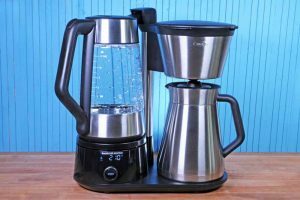 Either a high-powered blender like the Vitamix or an immersion blender will work for this task, although a high-powered version is more efficient. If using the immersion type, make sure your vegetables are chopped small enough that they don’t get caught up in the blades. Either regular yogurt or Greek style will work for this, however, if you are using the thicker Greek style (it’s really regular yogurt, with more of the water strained out), keep in mind that you will likely need to add more water to make it thin enough to blend! Season to taste with salt, pepper, sugar, and lemon juice. The balance of lemon and salt here is the key ingredient to success. Without the balance of acid from the lemon and the flavor enhancement of salt, this dish would be fairly one-dimensional. When properly seasoned, however, the brightness of the yogurt and the coolness of the cucumber harmonize beautifully on the tongue. Store in the fridge to keep cool until serving. Wash and chop the dill for garnish. This is not just to look nice – the herbs add a delicious flavor and freshness to the dish. 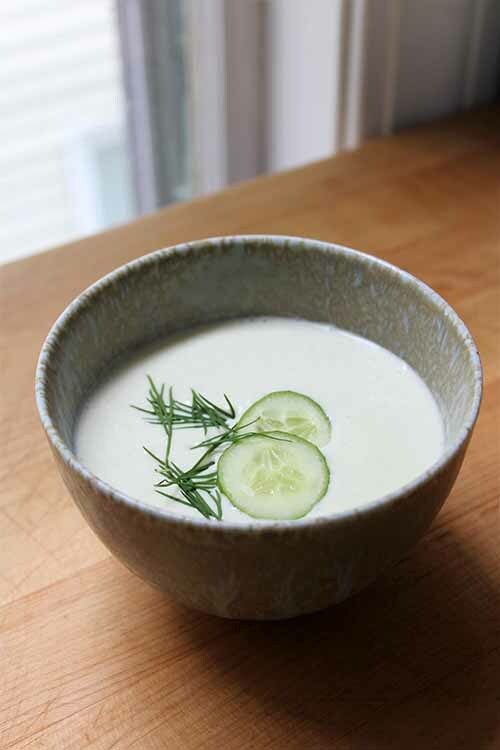 Slice the reserved cucumber into thinly, and garnish each bowl of soup with a few slices as well. The added crunch that it provides will enhance your eating experience. 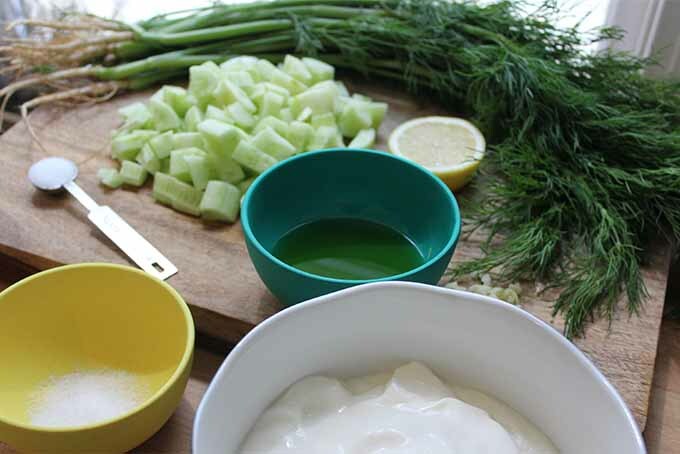 When you are ready to serve, garnish each bowl with the dill and cucumber slices. This pairs nicely with our sour barley pita! 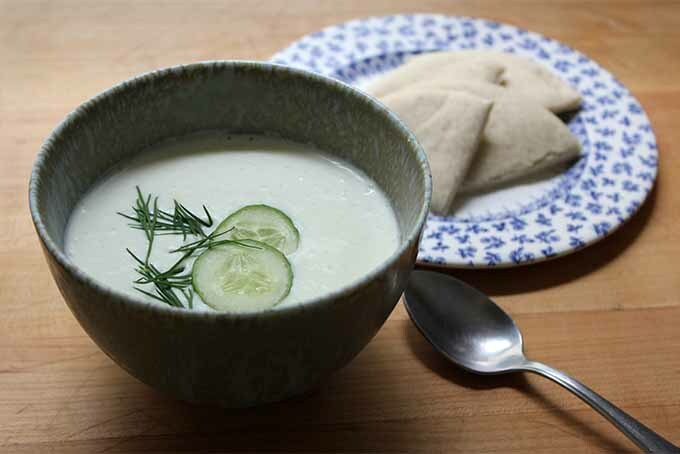 What’s your favorite chilled soup to serve in the summertime? Share your recipes with us in the comments! Contributing writer and editor: Kendall Vanderslice. Photos by Kendall Vanderslice, © Ask the Experts, LLC. ALL RIGHTS RESERVED. See our TOS for more details. I am a huge lover of cucumbers. 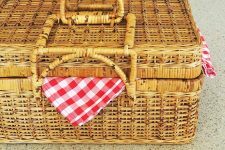 They are so plentiful in most gardens around here this time of year that it is great to see recipes to utilize them other than pickles or cucumber salad. I recently started drinking cucumber water after some inspiration from the show “Better Call Saul” and I love it. I used to be a huge water with lemon girl, but the cucumber water is just as refreshing and generally much cheaper than lemons. 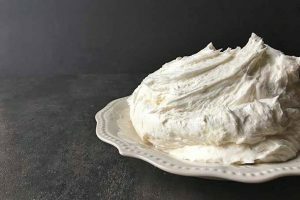 I love tzatziki dip, so I know I am really going to enjoy this recipe since there are many of the same ingredients in each. My daughter juiced cucumbers and apple and it was so light a refreshing. If you haven’t tried it before, I highly suggest trying it, absolutely delicious! 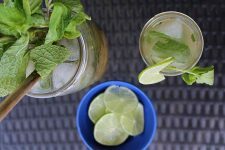 Cucumber water is one of my favorites Lisa, especially with a lime wedge and a sprig of mint. I love that show, too! 😉 Enjoy! Well, I haven’t tried a chilled soup and I also haven’t heard a lot of them, but as you’ve said, it seems to be a great idea, especially if, just as me, you’re a soup lover, but you can’t really eat them comfortably during the summer, and it’s great that it has that many nutrients, that’s always a really eye-catching plus. But, I don’t think that I would be completely full with this one, so I think that it would be a great idea for an accompaniment. Stay tuned for our round-up of chilled soup posts from some of our favorite bloggers for more tasty ideas! 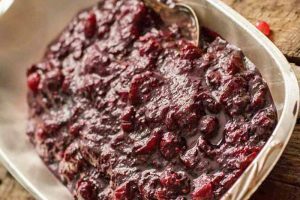 This is the perfect recipe for this season! I’ve never tried cold soups and I’m very curious about them. 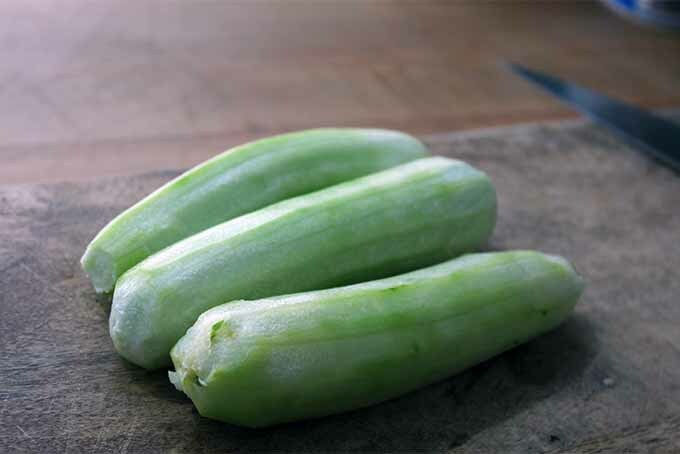 Besides, cucumber is one of my favorite summer vegetables, it is so refreshing and tasty! 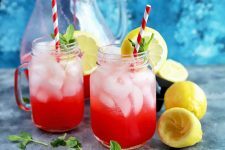 I can’t wait to try out this awesome recipe, it sounds very easy to make and it will be a lifesaver during these hot summer days. The fact that it is a low calories recipe is a nice bonus, I’m trying to be careful about my calories intake. Thank you for sharing it with us! I have heard of cucumber soup but have never tried it.I like cucumbers, but don’t know what I’ll think of the soup. I guess I’ll have to try it and see what I think. Hopefully I’ll like it, and if don’t I hope it wont ruin cucumbers for me. Let us know what you think, nytegeek! I have never really had chilled soup before, but it sounds delicious. I think it would probably give me brain freeze if consumed in large bites however. 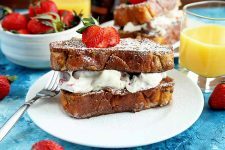 Delicate eating is called for here, but it seems like a very simple recipe and I think I’d like to give it a try. I do like many different kinds of vegetables raw, so this is perfect, and I’d bet it would be great with cauliflower or carrots in it as well. That’s something I will need to experiment with. Sounds delicious, Novelangel. You’ll have to let us know how your experiments turn out. 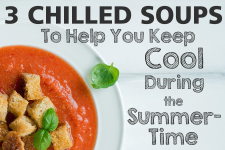 Rather than super chilling, cold soups can be served closer to room temperature too! With my cucumbers growing so abundantly in the garden, I think I’ll give this soup a try. 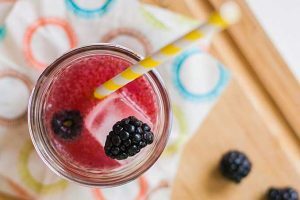 It just looks cool and refreshing, something great to beat this summer heat. Well thank you so much for posting this. I am a huge soup fan and I eat it almost every day, and I have to say that in this weather it can be a bit difficult to eat a hot bowl of soup. With that, this is just perfect for me, and it also just happens that I love cucumbers so it is definitely a victory for me. On a hot summer day, I now have a go to cold soup that I can eat… I am not a fan of gazpacho. Thanks for your comment, rz3300! Cold soup is so nice on a hot day. 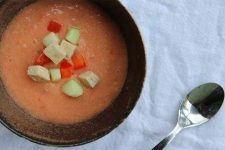 Stay tuned for an upcoming post on gazpacho – it’s definitely a polarizing dish, but maybe our recipe can change your mind! Wow! This type of recipe is not fairly common in my part of the world. 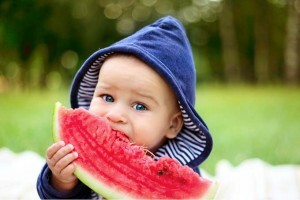 (The common part is putting a slice of cucumber to refresh tired eyes!) Anyway, when I hear soup, I usually envision piping hot versions. 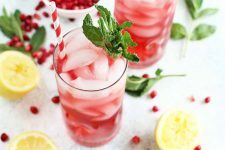 So this recipe is not only refreshing as it is, but it’s also quite novel to my ears. I usually just eat the star ingredient on its own raw. 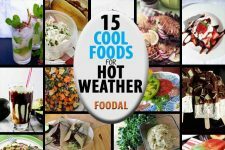 Love the idea on this one, coming from a tropical country where the weather is always hot, this soup can be very refreshing! This dish subtly reminds me of cold Japanese soba noodles,very refreshing. 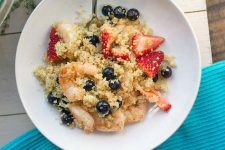 I also love the fact that the ingredients are raw and heat won’t tamper with the essential nutrients, plus no heat is necessary to prepare it- less sweat in the kitchen! Me and my family love to eat soups. And I like to experiment with trying to cook different kinds of soup in order for our food on the table to not be that boring lol. 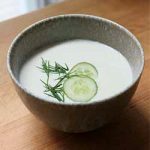 I have also never tried cucumber soup before but this simple recipe has me convinced! Awesome! I have been slightly obsessed with cucumbers lately. With it being so hot outside, they are so refreshing and they do not make me feel sluggish. 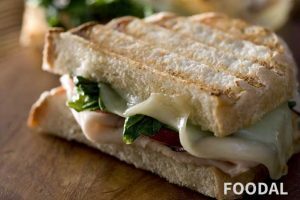 After pondering for the past hour on what I will make for lunch tomorrow, I think I may have to give this a try! I hope you had a delicious meal, ashley0323! Thanks for your comment.